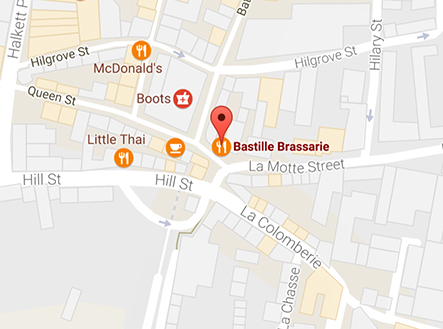 La Bastille is a Bar & Brasserie located in a stunning 17th century building in the heart of St Helier. It’s the ultimate escape to enjoy sensational food, wine, and real beers. The warm and charasmatic charm has been well maintained with a collaboration of the existing 17th century subterranean structure and original art & design work commissioned especially by local Designers Sam Bullock and Bobby Newell. Creating a brand for La Bastille that reflected the Modern/Medieval style was a the starting point to which the rest followed. Everyone thinks they have it in them to open a pub or restaurant, but few have the opportunity or courage to test that dream. 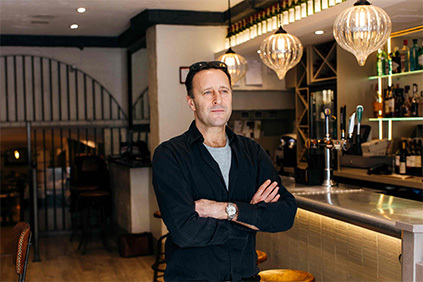 Revamping La Bastille is Mark Taft’s first forage into the world of hospitality in an effort to reignite a love for his job, which was slowly lost over the last thirty something years in finance. He harks back to a day when things were better, simpler, when building relationships mattered and wondered what would happen if he applied this philosophy to his own establishment?